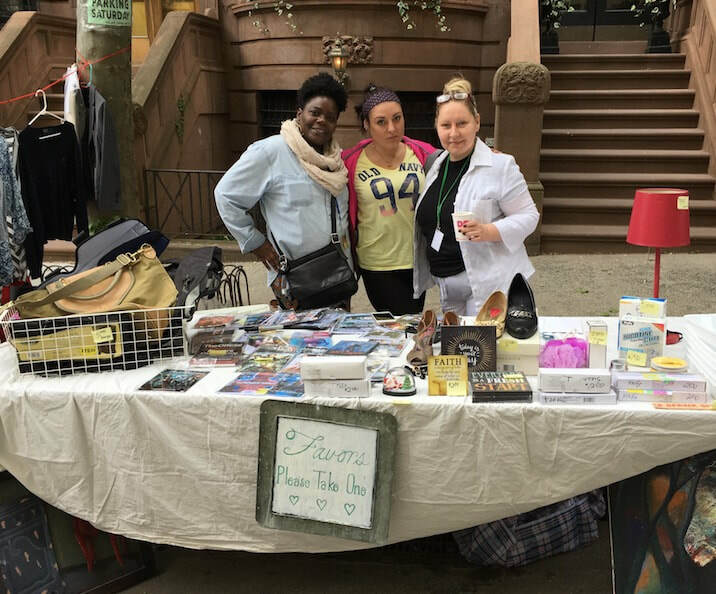 The West 102nd & 103rd Streets Block Association is a group of volunteers who work to make our blocks a vibrant, safe, and beautiful community. The West 102nd & 103rd Streets Block Association welcomes new members who live in our district on the Upper West Side of Manhattan (New York City). That area includes W. 102nd and W. 103rd Streets from Broadway to Riverside Drive and West End Avenue between W. 102nd and W. 103rd Streets. Your contributions to the Block Association provide funding for our street guard, Leonid "Lenny" Evin. He makes rounds Monday through Thursday from 6 p.m. until midnight, and on Friday and Saturday from 7 p.m. until 1 a.m. To report neighborhood security issues or to request our guard's assistance, call the office of Starr Security at (212) 767-1110. Click here for our neighborhood events calendar. Click here for our blog featuring local news. Second Tuesdays at 8 p.m. at 306 W. 102nd St.
Saturday, April 20, 10:30 a.m. at 878 West End Ave.
Click here for last year's photo gallery. Saturday, May 18, 10 a.m. - 4 p.m.
For information about TriBloomingdale, click here. Contact Caitlin Hawke for information. Click here for a photo from the Oct. 13 event. Did you know that in between newsletters, our blog is a rich source of neighborhood news and eclectic tidbits? "Hyper Local Eats" is a recurring column with a culinary bent. Then there's "Throwback Thursday, Bloomingdale Edition," featuring old photos of our neighborhood. If you aren't reading it, you are missing news of upcoming events, talented neighbors and our history! Also, don't miss our section on neighbors of long-standing. The 2018 inductees are here. To avoid being out of the loop, why not subscribe to the blog and get news in real time. Click below to subscribe by email or you can navigate to the blog for a link to the RSS feed. Also, see our calendar for local events. Lots of goodies, and all in all a great way to stay in touch with the West 102nd & 103rd Streets B.A! "It's Elemental, My Dear Bloomingdale"
Check out the blog feature, "It's Elemental." If you recognize the images below, click through to our blog, and find out where they are! Who: Kids, Adults, You, Us, All! ​What: Our festive, 25+ family, community sale and annual tradition with a split-pot lottery, food & treasures galore! An old blog post describes it all. Where: Along W. 103rd St. from West End Ave. to Riverside Dr.
How to Become a Vendor: Rates are reasonable for Block Association residents ($40) and non-residents ($55). See the vendor page here.